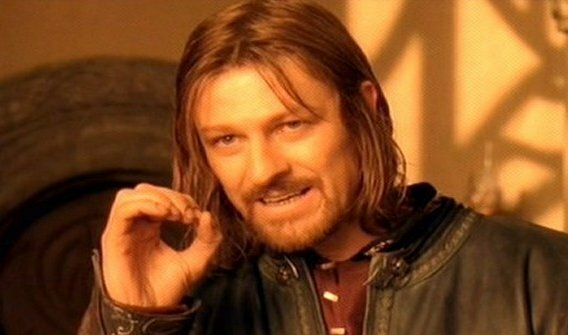 We think Boromir could have been talking about plenty of other places, so this week if your team name suggests another place that fits Mordor’s description, you will get a bonus point. Examples may include: One does not simply walk into Queanbeyan. The gates of Double Bay are guarded by more than just BMWs. They very air you breathe in a club at 1am is a poisonous fume. Cronulla is a barren wasteland riddled with southern cross tattoos and flag capes. There is evil in Maccas that does not sleep. Anything that links a real world place with Mordor will earn a bonus point. Get creative and have some fun with it!